Features (20) Pockets for Literature! 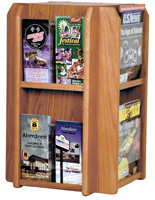 This metal information holder that is a literature display has (20) pockets for dispensing letter-sized pamphlets and newsletters. 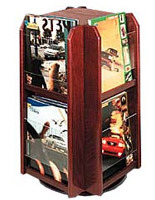 Con-Tur design eliminates paper curl when storing items! 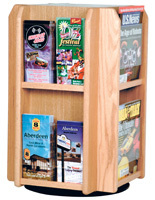 This metal information holder, like magazine racks, have a revolving stand so customers can access contents easily. 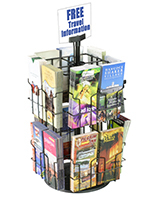 This powder coated steel display for publications fits catalogs or newsletters measuring 8-1/2"w x 11"h. This metal information holder, such as a leaflet mount can be placed on a tabletop without taking up a lot of space. 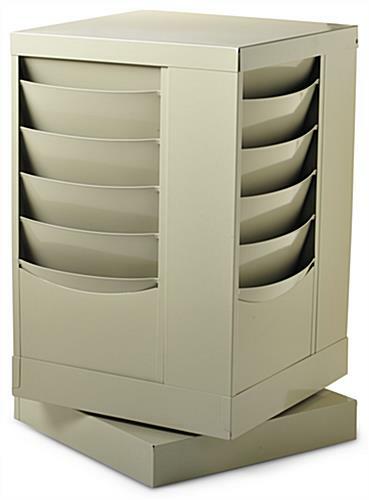 14.1" x 23.1" x 14.1"